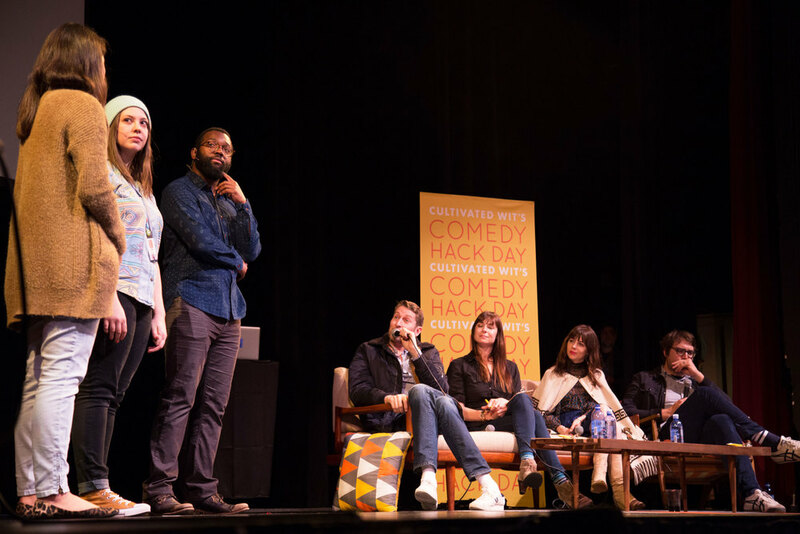 Our third Comedy Hack Day in the city by the bay provided us with some of the greatest demos we've ever seen. We could continue to hype them all or talk about SF Sketchfest and how we got to close out the entire festival with our incredible show... But we won't (even though we just did). Here are all our finalists from CHD 7. The exciting new game that aims to widen the popularity divide! Two friends post to Facebook, whoever gets the fewest likes gets an embarrassing photo posted onto their wall. The winner gets to bask in the loser's shame. Hooray! An iOS keyboard and browser bookmarklet that converts your text from naughty to nice, or the other way around. Ever wondered what an infinitely long conversation between Malcolm X and Sarah Palin might look like? Us too. But not any more because Debate-A-Bot creates bots from speeches and tweets so anyone can engage with celebs and other historical figures. The White Man Dance Catalogue provides a robust collection of simple dance instructions for any occasion. Whether trying to impress at a wedding or simply remain a graceful wallflower at the company Christmas party, WMDC has you covered. Caternet: A suite of cat-related offerings, headlines by If This Then Cat. Visit the site. Comics Against Stupidity: Finding an easier way for comedians to lend their voice in the fight against public stupidity. Context.gif: Website that accesses your microphone, listens for words, and checks them against a database of GIFs to randomly generate GIFs that relate to everything you say. Doctors Without Morals: Helps you find the most questionable doctors in your area. Check out the beta and find Dr. Feelgood. DrizzyAI: An automated Drake bot that learns and becomes more and more Drizzy-like with every question you ask it. Visit the site and ask Fake Drake any question on Twitter at @drizzyai. Dude Friend Finder: Also known as "Brokay Cupid," it's the dating site for guys just looking for a buddy to chill with. Everything Free Forever: Buy, use, return, repeat. What if life were that simple? And that cheap. That's the dream of this site that collects return policy info from companies, checks them against your purchase history, and helps you live that dream. Fraze: Like an Exquisite Corpse game for your phone. Get a phrase, take a photo that encapsulates that phrase, and pass it along to a friend. Sign up to test the product. Get A Life: What this product lacked in feasibility it made up for in ambition. Pay the site a hefty sum, give it access to your calendar, and in return you'll get a life. The site will set you up on dates, buy you concert tickets, reserve you tables at restaurants, and an array of other things that prevent you from ever being lame again. 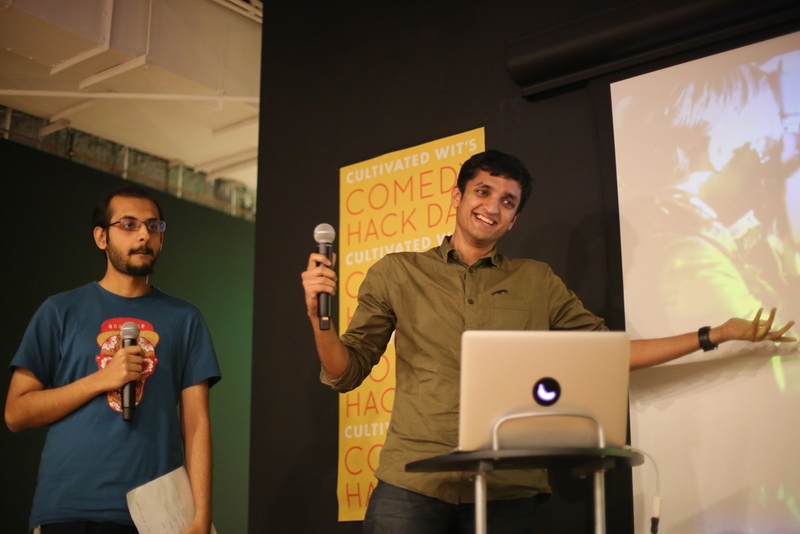 Sausagefest: A dating site masked as a guide to hackathon food. Are you looking for sausages or tacos? Sausagefest offers to help you find exactly the right dish for your appetite. Check it out. Translang: Slackbot intended to help non-millennials communicate with their younger coworkers. Urban Lingus: Using the Urban Dictionary API, this team created a game intended to help you better understand real American english. What Is Yahoo? : Using the eternal font of genius that is Yahoo Answers, this site creates a Jeopardy-style game that challenges you to guess the question that elicited the clue's response. Try it if it works! Zipkid: Ever want to rent a kid? Zipkid would let you rent a kid. Scott Aukerman, also known as Mott Skokerman, Hot Saucerman or Scottabot, is the host of "Comedy Bang! Bang!," the IFC show and the beloved podcast. @ScottAukerman. Natasha Leggero is an actress, writer and accomplished stand-up who stars in the Emmy nominated series "Burning Love." @NatashaLeggero. Jonah Ray is a writer/comedian originally from Kailua, Oahu. 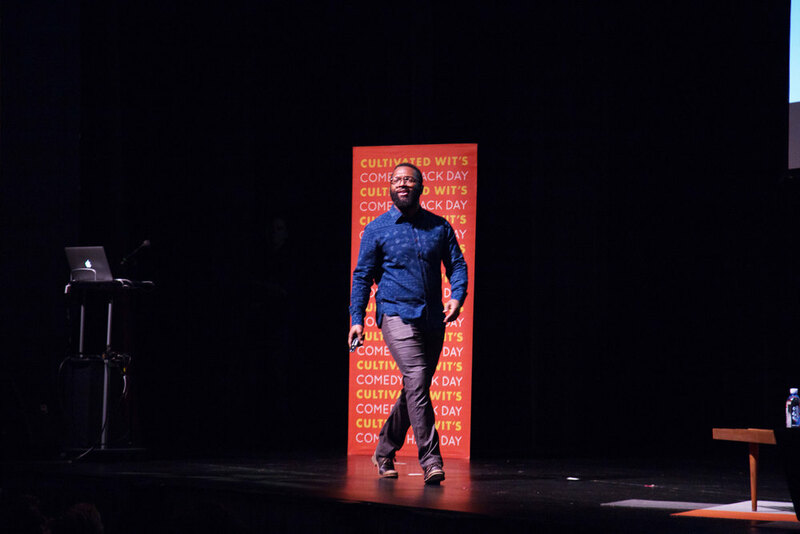 A co-host on the Nerdist Podcast with Chris Hardwick, Jonah also puts together a weekly comedy show at Meltdown Comic Books in Los Angeles, Ca with Kumail Nanjiani. @JonahRay. Veronica is a TV host, podcaster and budding writer based out of San Francisco. You can catch her every week on the Sword & Laser science fiction / fantasy podcast, and monthly on the Vaginal Fantasy hangout (it’s a book club, don’t worry). @Veronica.